Get to know one of the world’s largest and most diverse providers of technical professional and construction services. Southern Response Services’ primary goal is to provide the highest quality and the most cost-effective training to industrial emergency response teams. Whether you are seeking to fulfill short-term staffing needs or long term requirements, Southern Response Services talent acquisition specialists are equally skilled at recruiting and retaining people for short and medium-term contracts or permanent placements. Southern Response Services’ temp-to-hire program allows our clients to convert our temporary employees to their permanent staff. We work with our partners to streamline project plans that don’t just deliver on product perfection, but also delivers on time – crucial to success in a highly competitive market where every day counts. We only source materials from tried and trusted suppliers that meet our exacting standards of quality control. 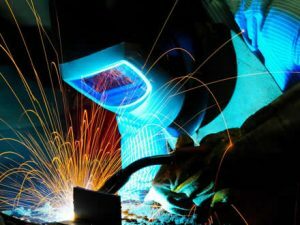 If you are in need of a full-service general contractor or simply innovative insight in a specialized area like safety training — We invite you to explore our website and learn why our customers in the heavy industrial, commercial, and residential sectors trust us to handle a wide range of services to meet the demands of their specific industry. Southern Response has always worked in the construction and industrial field. We started out as a small residential construction company, while also working within a thriving steel mill to our area. When the economy started declining in 2008, we struggled to keep our business going, and the steel industry was wavering. After a 6-year period in the steel sector, we decided to focus solely on our construction company. We persevered and maintained up until the devastating 2010 Deepwater Horizon oil spill that hit the Gulf Coast. With so many now out of work and losing a steady income, the housing and construction market in our area came to a halting stop. Out of that struggle and determination to provide for our family, birthed a deep desire to help the countless others in our same situation find work. We had the opportunity to work and run sites during the Gulf Coast oil spill and then again for the Enbridge spill Michigan that very same winter. In 2010, we opened our first personnel/staffing company. After several years and with much consideration with a difference of option for the future direction of the business, we decided to reorganize our corporate structure and branch out on our own. In 2015, we started Southern Response taking with us only one previous client from our other company. Through faith, God’s guiding hand, lots of prayers, hard work and a “failing is not an option” mentality; we have grown into the company we are today working all over the United States. 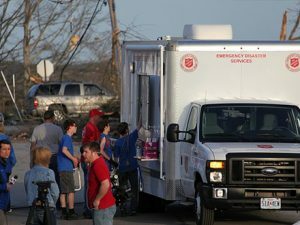 Southern Response has responded to and provided personnel for numerous emergency oil spills and natural disasters such as the Avian Influenza bird flu epidemic, the devastating floods in Louisiana, the disastrous wildfires in Gatlinburg, TN, and most recently the horrific aftermath left behind from hurricanes Harvey, Irma, Maria, and the 2017 California Wildfires. 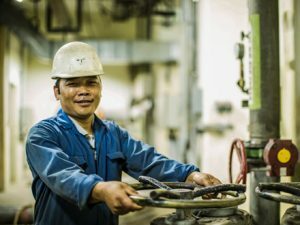 We also provide a leading number of skilled and unskilled personnel in the industrial fields across the U.S. We stand ready to meet any challenges that your company may need from a staffing resource supplying supervision, operators, technicians, and general laborers within a required response time. We take pride in helping those directly affected by the devastation in their local area by providing jobs to those that may have lost employment due to the current situation or those that are just seeking employment. We look forward to many more successful years of putting people to work and meeting our client’s expectations. Let us be your trusted personnel source!